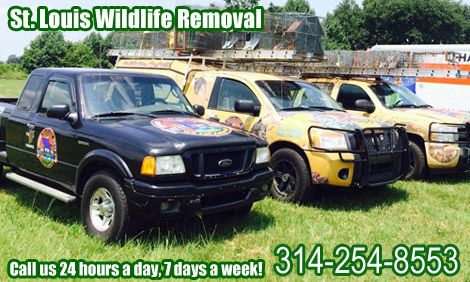 We operate 3 service trucks and 3 full-time owner-operated wildlife removal technicians with a combined 12 years of wildlife removal experience. We pride ourselves on our professionalism and quality of work. Our Technicians are certified professionals who can remove the animals using the latest technology and equipment, as humane and gently as possible. 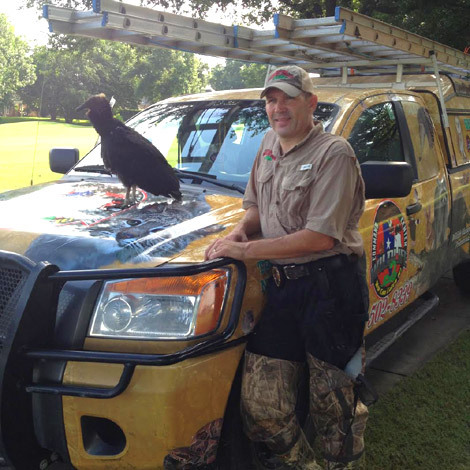 Company owner-operator Michael provides traditional falconry methods to control nuisance birds at warehouses, crop fields, airports, and landfills. 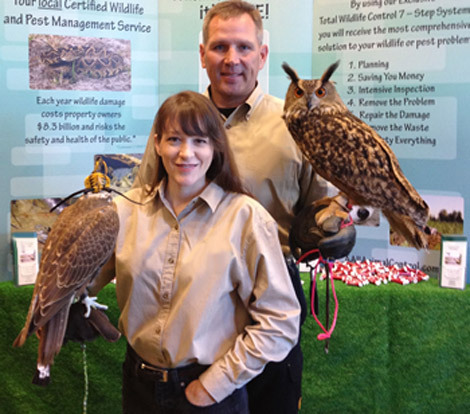 "Falconry based bird abatement" is the use of trained falcons and hawks to intimidate and scare off or even catch nuisance birds which cause health hazards and safety concerns.